QIEV DANCE‘s Ostrov Festival took place in Kiev at the end of June, attracting 4,000 people to Trukhaniv Island. For the first time, the festival featured a Funktion-One sound system. Ostrov is an annual event, which brings together electronic music lovers and some of the world’s top electronic music artists. The line up for 2015 included Ricardo Villalobos, Raresh, Rhadoo, Petre Inspirescu, Art Department, Carl Craig, Booka Shade, Guy Gerber, Cassy and many more. 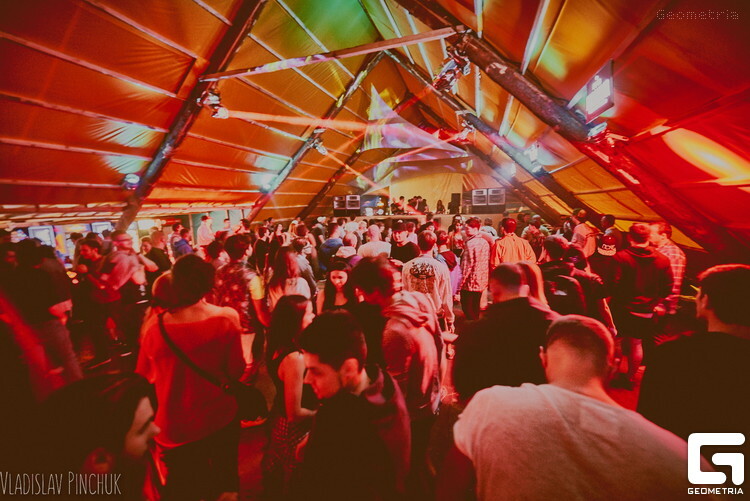 This year, Ostrov Festival organised a special Romanian underground area with DJs like Petre Inspirescu, Barac and Piticu. It featured a special wooden dancefloor and a Funktion-One sound system, which was supplied by Technology Group, and included speakers from the new Evo Series. Four Funktion-One Evo 6E loudspeakers and six F218 Mk2 bass units delivered sound to the 1,000-capacity dancefloor.